It has been learnt in our last lesson that "女" means Lady, Woman or Unmarried Young Girl. And it has been learnt as well that "子" means Child, or sometimes Son specifically. 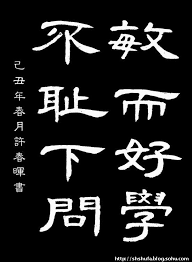 What is then the meaning of this character "好", which consists of "女" and "子"? What would be the meaning of that our Chinese ancestors wanted to express here with such a scene? Maybe I should ask what kind of feeling you would have when you see such a view instead? That must be a good, beautiful and touching moment! Yes, "好" (with Pronunciation hǎo ) has the meaning of Good, Beautiful, Perfect or Fine. "好" was then extended to mean Friendly, or Satisfactory, Completed, Easy. It can also mean Very as adv. While "好" (with Pronunciation hào ) can mean Like, Love as verb or Hobbies, Interests or Favourites as noun. As you can see "好" conveys many positive and good meanings. Somebody is curious why Chinese ancestor chose the combination of "女子" to mean Good instead of "母子" (母 means mother) ? That is hard to answer. But it might be the will of God? Using "女子" to mean Good is coincident with the Bible story that Saint Maria gave birth to Jesus Christ as a virgin. And Christmas is coming, "好" is probably the best Chinese character we can learn for this merry season.